This shallow cocotte from the REVOLUTION line is perfect for soups and stews. Use this casserole on an electric top, stove top, oven and microwave (without the lid). Much lighter than cast iron, it will do the same job: brown, simmer, boil, cook, bake all your favorite recipes and bring the beautiful casserole to the table for an everyday meal or a special occasion. 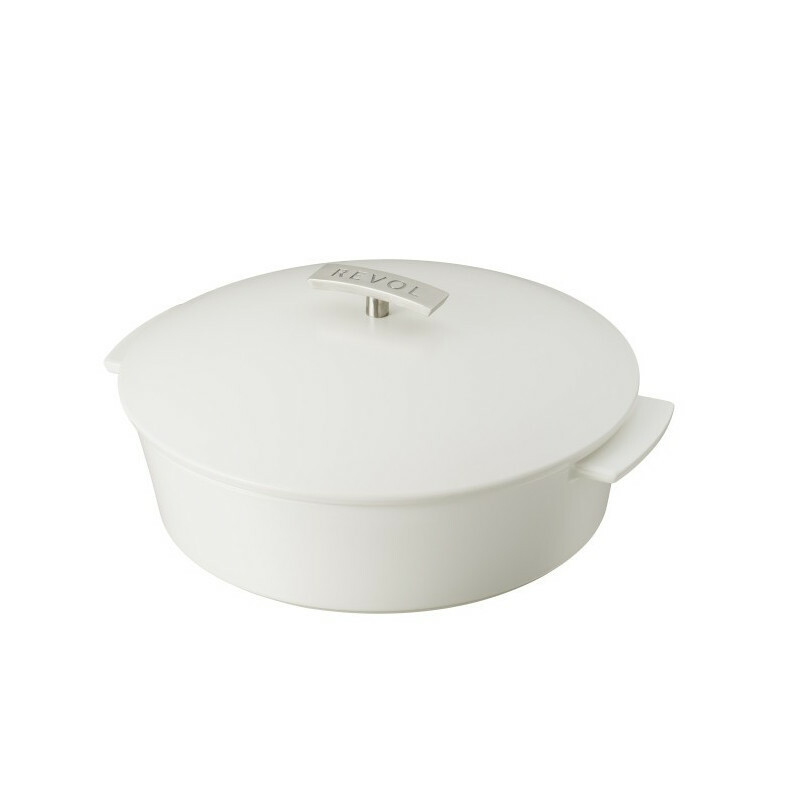 Resistant to thermal and mechanical shock, the casserole will not scratch or rust and will remain impeccable after countless dishwasher cycles. The stainless steel handle will allow a better grip. Enhance your table with this modern unique design cocotte; serve anything from stews, soups, rice, pasta, meats and bred. 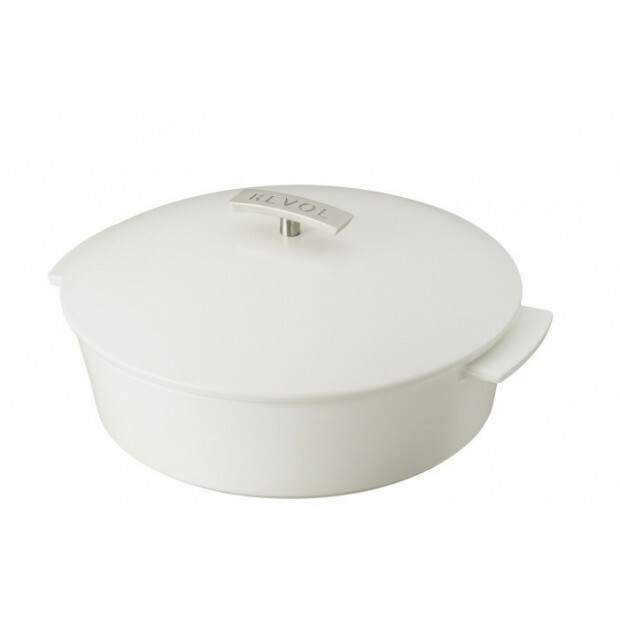 Porcelain is non-porous so the casserole will not react to food and will not absorb fats, odors, or bacteria. This is the white lid version. Also available in other colors. THIS VERSION IS NOT EQUIPPED FOR INDUCTION. VERSATILE AND PRACTICAL: this Dutch oven is for an everyday use since with one dish it can be used in every heat source including stovetop, electrical unit, oven and microwave (without the lid).